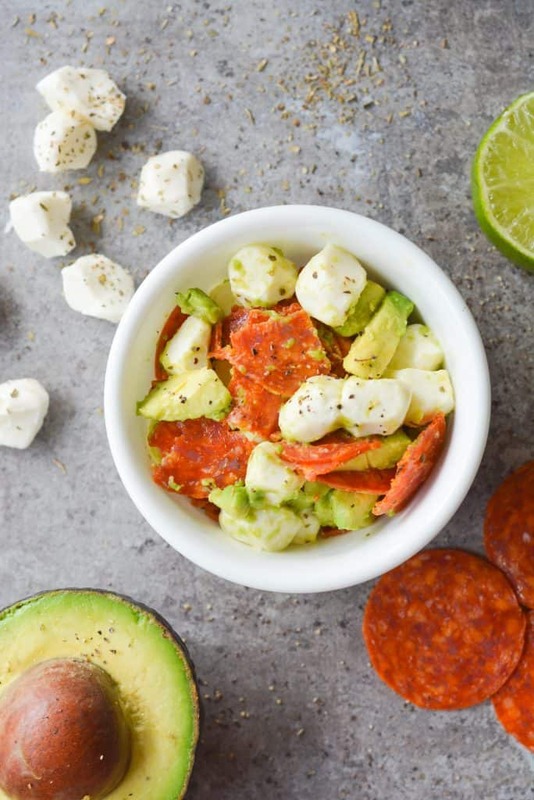 This Keto Avocado Pepperoni Salad is an easy, flavorful dish that takes just minutes to put together. 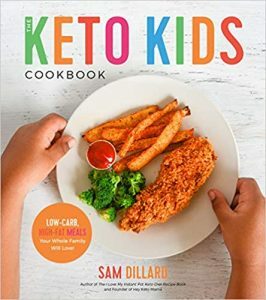 It makes the perfect keto lunch! Now that we have two little ones, I find myself grabbing anything I can find and eating it as quickly as possible. Usually this means I grab a handful of turkey slices and cream cheese, but sometimes I crave something more filling. 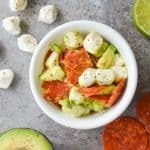 This avocado pepperoni and cheese salad was one of those quick fridge runs that turned out to be really delicious and great for my macros! Need another avocado dish? Check out my creamy avocado chicken salad! Avocado is a filling keto-friendly food loaded with healthy fat so it’s the perfect base for this quick dish. 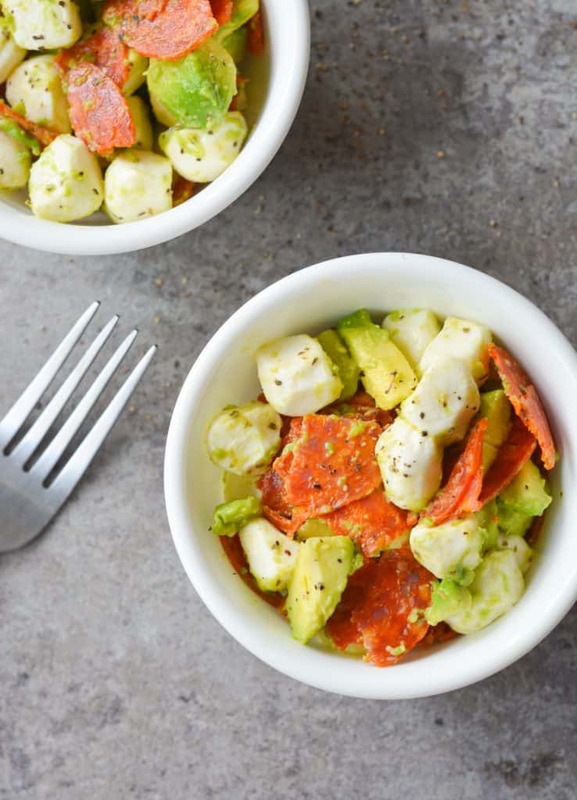 The creaminess that comes from stirring in the mozzarella and pepperoni creates a light sauce that keeps this salad from tasting dry…but an extra drizzle of avocado oil wouldn’t hurt at all. I like to sprinkle this salad with salt, pepper and Italian seasoning to give an easy flavor boost. 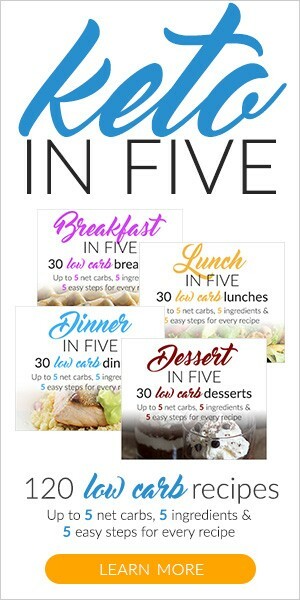 All you need is three simple ingredients, and you have a delicious dish on the go! Make sure to spritz it with a little lime juice if you don’t plan on eating it right away. This will help preserve the avocado! What kind of pepperoni do you use? This is perfect for a quick lunch. Great combo! Thanks! You can definitely use turkey pepperoni if you prefer! Where do the 7g carbs come from? Is there a specific type of. 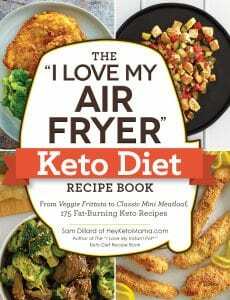 Italian seasoning that you prefer to use? Loved this. I added a tiny bit of finely diced red onion, a sprinkle of Cajun seasoning mixed into the olive oil. One of the most satisfying things I’ve had in days.